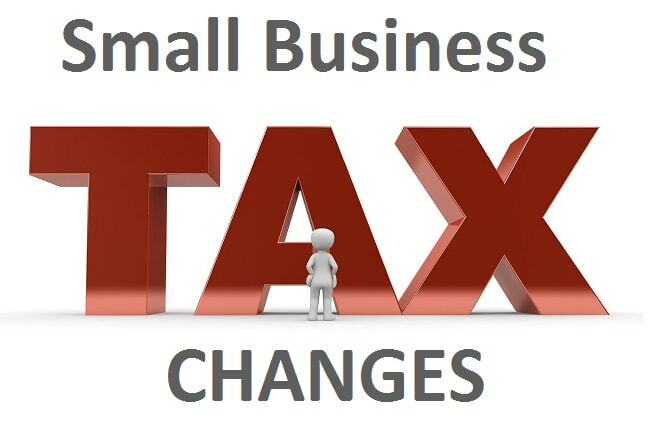 In the Summer of 2017, the Canadian government dropped a tax bomb on Canadian small business owners with changes to how they are able to split their income. While they had some vague guidelines, they did not have concrete rules to wrap our heads around. All we had was speculation. However, they have recently provided more clarity on the situation. If you own a CCPC, dividend sprinkling is a common strategy that I’ve written about and have used within our business. In this strategy, you have multiple classes of shareholders among family members within a corporation, and you essentially issue a dividend to an adult shareholder in the lowest tax bracket. This essentially results in less overall tax paid by the family. This doesn’t have to be in the form of dividends, some companies will pay spouses a salary (or other forms of income) in a lower tax bracket. While they are not completely eliminating “dividend sprinkling”, now shareholders will be required to pass the “reasonable” test which questions whether or not the shareholder: contributed to the labor; contributed in the form of capital; and, previous returns. Also, the current “kiddie tax” prevents dividend sprinkling to children under the age of 18. The new proposed changes will question distributions to adult children between ages 18-24. The new income splitting rules will start in 2018. Essentially, the federal government is attempting to eliminate unfair income sprinkling among private corporate shareholders. While I can see the merit of this, it seems that the rules complicate the matter. The bright side is that instead of eliminating income sprinkling completely, there are exceptions (effective 2018 and onwards) provided on the CRA website. Note that these new income splitting rules do not apply to salary. 1. The business owner’s spouse, provided that the owner meaningfully contributed to the business and is aged 65 or over. In recognition of the special challenges associated with planning for retirement and managing retirement income, the new approach to income sprinkling will be better aligned with the existing pension income splitting rules. This also reflects the fact that a business can play an important part in supporting its owner in retirement. This first rule is a clear winner for seniors who still have ownership in a small business. It essentially retains the old rules of dividend sprinkling where owners of private corporations can decide on which shareholders receive dividends to minimize overall family taxation. 2. Adults aged 18 or over who have made a substantial labour contribution (generally an average of at least 20 hours per week) to the business during the year, or during any five previous years. For businesses with seasonal operations, such as may be the case with farms and fisheries, the labour contribution requirement will be applied for the part of the year in which the business operates. It appears that this is a rule made for adult children to ensure that they fairly contributed to the business before being able to receive dividends from a CCPC. To me, I don’t see the benefit of distributing cash from a corporation to adult children anyways unless they contributed to the business. Note that parents can simply gift cash to adult children without tax consequences. 3. Adults aged 25 or over who own 10 percent or more of a corporation that earns less than 90 percent of its income from the provision of services and is not a professional corporation. From the beginning, it appeared that these rules were more or less targetted towards professional services corporations (ie. Doctors, dentists, lawyer, consultants etc), and this rule clarifies that! The good news is that providing that a CCPC is not a service based company, dividends can be distributed to a spouse that owns 10% or more of the company. I’d be interested in learning more about what CRA considers a “service” company. In case you need to re-structure your business to meet the 10% rule, you have until the end of 2018 to do so. 4. Individuals who receive capital gains from qualified small business corporation shares and qualified farm or fishing property, if they would not be subject to the highest marginal tax rate on the gains under existing rules. Essentially, this rule states that income splitting rules do not apply to capital gains from selling your small business (exception is if a shareholder is under age of 18). What are your thoughts on the new rules? Fair? Not fair? Hi FrugalTrader, the benefit of distributing cash to adult children is so that the children ‘gift’ it back to the adults. Usually this whole thing can be done without the adult children knowing via Power of Attorneys. How impacted are you with your current online business? I’m going to work with my accountant to see how an online media company would be treated. Would MDJ be treated as providing a service? Or selling a product (ie. advertising)? Note that salary is not impacted, so to be completely onside, I will likely pay my wife a salary instead of a dividend. Although salary has a higher burden (CPP/EI), it has the benefit of gaining RRSP room. Isn’t there a higher burden of proof to show that spouses are doing actual work in order to justify income like this? Does your wife do work on the online media company? Salaries will not be impacted by these changes – likely because salaries result in higher income tax, and payroll taxes like CPP/EI. Dividends are very clean with no payroll burden. You can still grow your money in your corporation tax free using insurance. If you want more details let me know.